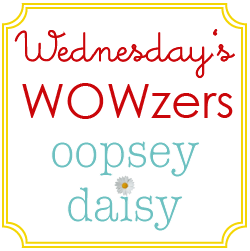 Wednesday’s Wowzers: Wedding Photo Failure. You are here: Home / wowzers / Wednesday’s Wowzers: Wedding Photo Failure. By the time you're reading this, we are probably just stuffing our last suitcase into the car and making the long trek from Utah back home to Colorado. Hopefully we survive the 8 hours in the car together! We just finished celebrating the wedding of my brother-in-law and his sweet new wife. Besides the fact that every possible mishap prevented our little family from looking halfway decent in any wedding pictures, I think the day went beautifully: (Seriously. Just cut us out of those pictures! We won't mind.) Bloodshot eyes. Curling iron burn on forehead. Breakouts. Wrinkled clothes. New pants for my hubby that ended up looking more like "balloon" pants. Dress that blew in the wind and flashed everybody. Unruly, unconditioned hair. Sobbing nap-deprived toddler. Stains on my clothes. Stains on husband's clothes. Stains on Little Man's clothes. Yes indeed. We were in rare form. This pinwheel bib is beyond perfect! 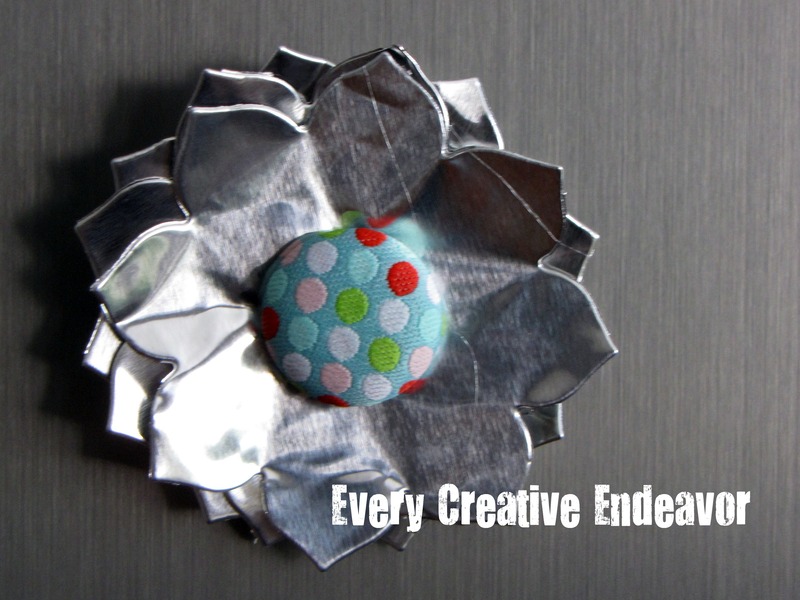 I love the pinwheel craze right now, and I've always wanted to sew some! You can see the tutorial at Lemon Tree Creations. 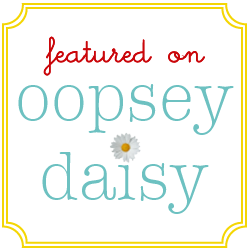 How Joyful is a new blog to me. (Don't you love just the name of it?!) 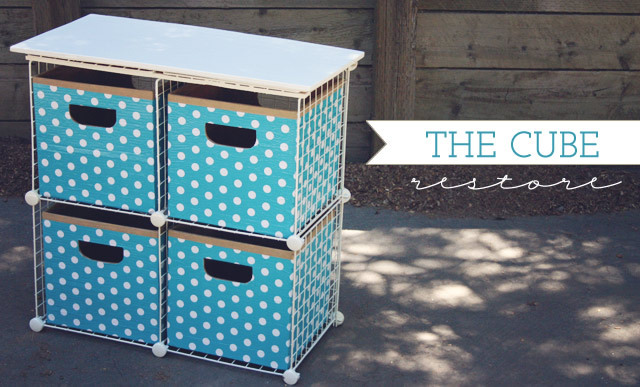 I love Joy's tutorial for restoring a storage cube... creating your own cardboard cubes! I would love these for my craft room! Now THIS is a cool idea! 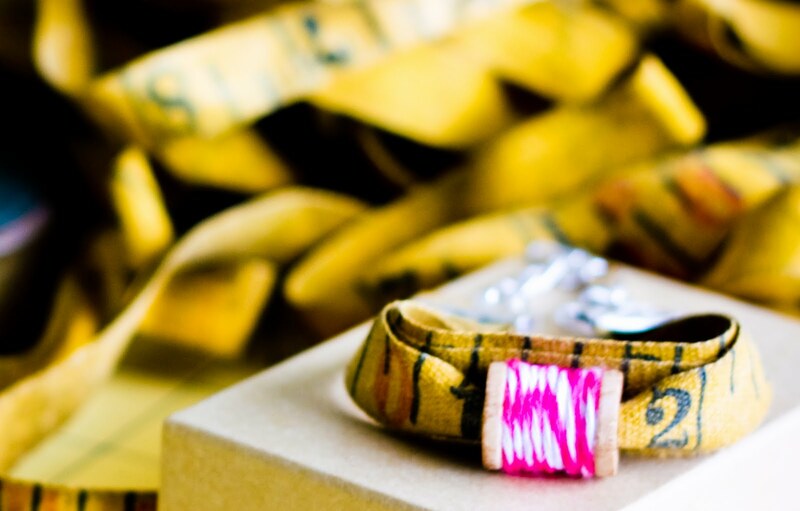 Make a vintage tape measure bracelet with Hoot Designs. Genius! I'm lovin Amanda's metal flower magnets. SO creative and a fun way to dress up your fridge!! 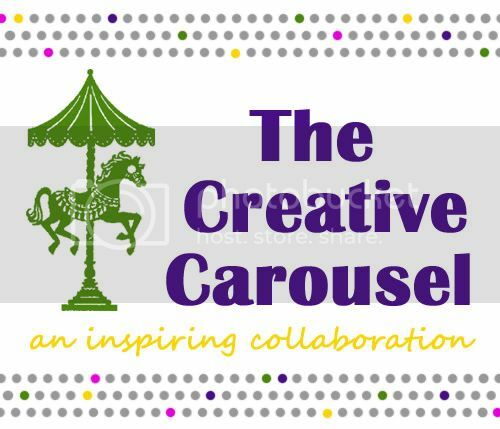 Go check out Every Creative Endeavor!! Ummmm is your mouth watering like mine?? This chocolate chip ice box cake looks heavenly! I have always loved cookies more than cake! Drop by Sun Scholars for the how-to. Oh my. Normally I am not a huge embroidery fan. 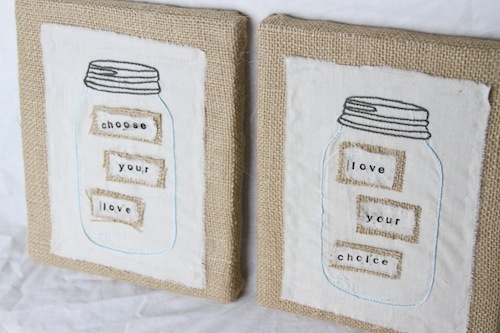 But these embroidered mason jars definitely caught my eye! I love this quote too (from President Monson). 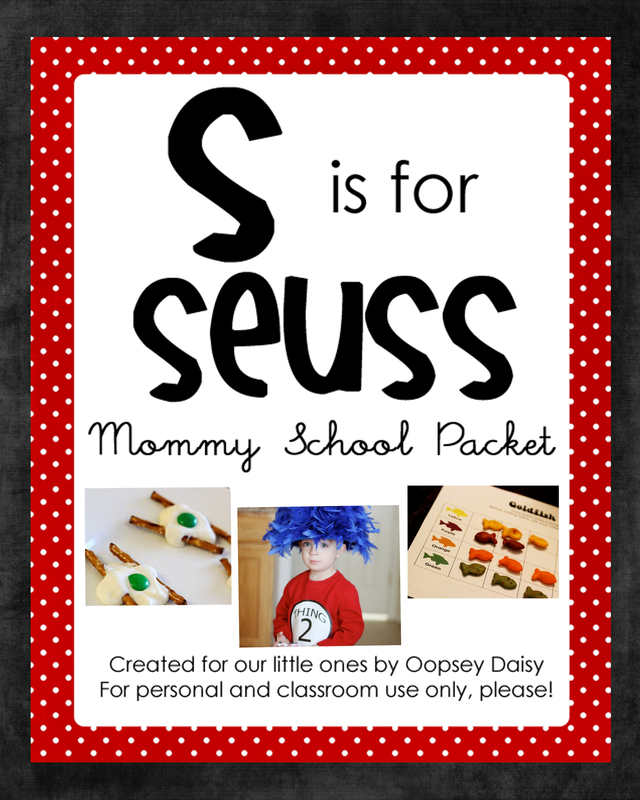 Go check out this project at Blue Robin Cottage! Alright Summer Camp fans! 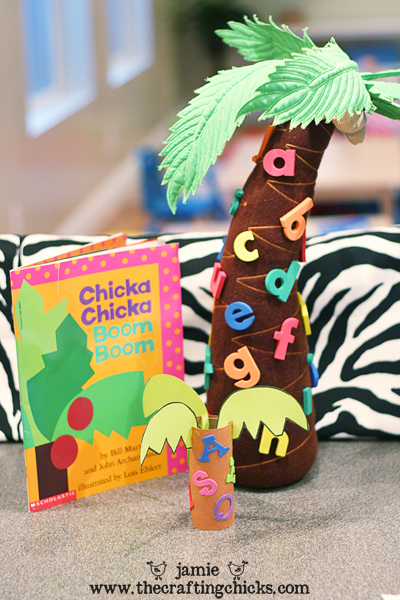 I am head over heels in LOVE with this Chicka Chicka Boom Boom craft. The amazing gals at the Crafting Chicks have done it again!! What has been inspiring YOU lately?? OMGoodness… The wedding photos sound like my worst nightmare come true! 🙁 Maybe they’ll turn out better than you think? I’ll keep my fingers crossed. Sorry about the wedding pictures! That sounds like a bunch of fun. I LOVE the embroidered mason jars. Too cute. Maybe I’ll have to try some. You know I want to see the pictures now! We were in Utah for a wedding this weekend as well. My brother-in-law in fact, what are the chances 🙂 We drove back Sunday with everyone and there mother. It took us 9 1/2 hours! Ug. Thank you for the shout out! You are so sweet and I hope your trip home went well!